The Hen House Gardens are fast turning into a foliage feast, but there's still space for hardy perennial flowers on the sunny side by the lawn. In summer it's hot and dry, and I've planted a number of perennial daisies here. The yellow perennial daisy flowers in late summer, and is quite short and bushy - just less than knee-high. 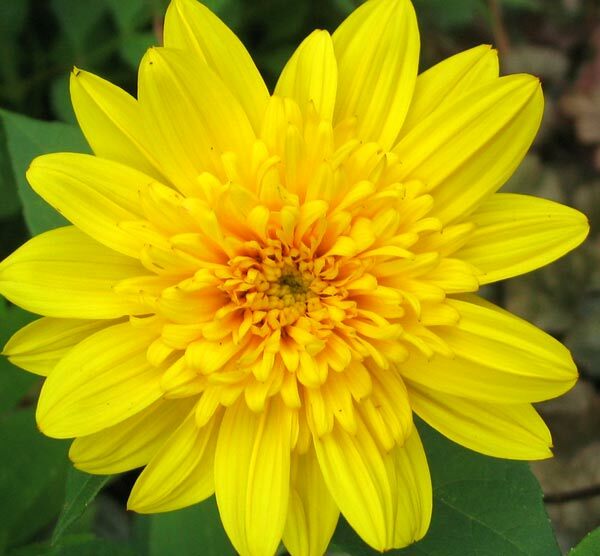 I'm starting to guess - this might be a dwarf type of perennial Helianthus. Hmm... I am definitely on shaky daisy ground here! The trouble is that I get Heleniums and Helianthusses mixed up, and I don't grow annual sunflowers (which I know are Helianthusses). My annuals and perennials book is unusually vague, for once. And my spell-checker is bleating at the plural form of Helianthus, spelt above. Aargh! I should quit while I'm ahead! I bought this plant, with the interesting label 'Brown Daisy', at the local golf club plant sale. I love it. Over the years that this plant has been in the Hen House Garden much has happened - cannas have come and gone, oak trees have been planted, paths have been moved, and flaxes have been shifted in and out of spaces. The original clump of 'Brown Daisy' has never even noticed. Each summer it produces its stylish brown flowers. 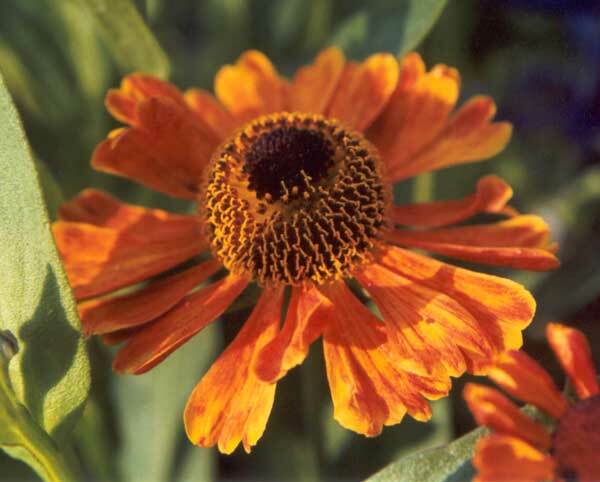 It is (I think) a Helenium - my perennials book says it is slow growing and enjoys hot summers. What a great little daisy!